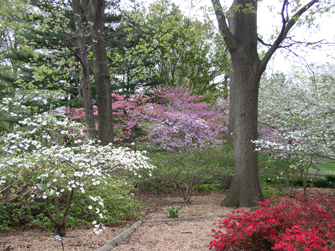 The Garden offers a wide range of classes on gardening, art, cooking, and nature study. You can learn how to create a rain garden, grow heirloom tomatoes, maintain your lawn or select the best perennials for your garden. Have you always wanted to explore your creative side? You can do so in our multi-session watercolor and photography classes. Want to be creative in the kitchen or just learn the basics? How about taking a cooking class. They range from knife skills to sushi. For the nature lover there are classes in birding as well as nature walks. Click here to browse current class offerings.